Natural and fast colic relief for babies! When your baby is screaming for what seems like hours on end, all you want to do is comfort them and provide some colic relief in hopes that they will stop and you can retain some of your sanity. There are so many things that could cause a baby to be colicky. Although some colic remedies may be over the counter type things, like natural supplements, others might just be a change in schedule or diet. 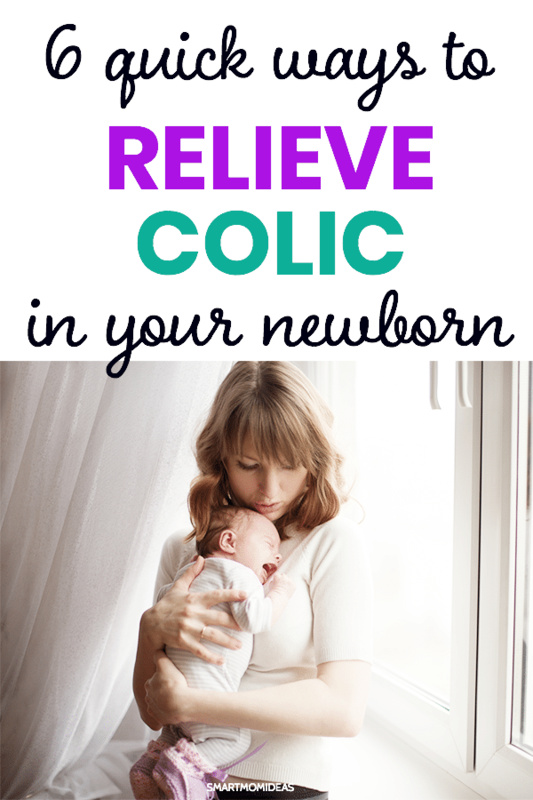 In this post, we are going to look at the fastest colic relief hacks for your baby, so they can get some comfort and you can get some much-needed sleep. Your doctor might deem your baby as having colic if they cry for three hours or more at a time, this crying persists for more than three days a week, and if it persists for more than three weeks in a row. The positive side of colic? It doesn’t last very long! So hang in there, even though it might seem like an eternity, it won’t last forever. When you are aware of the causes of colic, you can help to minimize any environmental factors that may be causing your baby to become extra fussy. Baby’s GI tract is sensitive and not used to handling certain foods or substances. Foods that pass through too quickly or too slowely can result in discomfort and a cranky baby. Gastrointestinal problems could be caused by food sensitivities, acid reflux, and the infant’s underdeveloped digestive system. Also, if you are breastfeeding, your diet may be causing your little one distress. Try to tune into your baby’s cues. If necessary, track what you are eating in a journal, the times you are feeding, and how baby reacts. There are many foods that breastfeeding mama’s might not realize, that can cause your little one to have an upset tummy; dairy, garlic, broccoli, and so on. There are several environmental factors that could be causing your baby to be colicky. Overstimulation is a big one. When your baby is in the womb, they are used to sounds, however, they are much more muted and less likely to startle the baby. If you have other children and your house tends to be very busy and noisy, it could cause your infant to become overstimulated and colicky. Tobacco use around infants can also lead to colic. For more than just reducing colic, you shouldn’t smoke around your child nor should you let anyone else do so. Your baby can’t tell you they are feeling distressed when you or others are smoking around them. Which is why the cry. Therefore, avoid it at all costs. Now I know this might sound silly, but if your baby is not getting enough sleep, this could actually be contributing to their colic. This was the case for my twins. We had learned that we were keeping our babies up for too long, up to five or six hours at a time. We had to learn to put our babies down for more naps during the day. This was just one of the factors that helped us to remedy their colicky behavior. There are many things that you can do to help your baby feel calm and lessen those ear-piercing screams. When you find out what is actually contributing to the colic behaviors, it is more likely that you can help to control at least some of them to provide your baby some colic relief. Just know that your baby being colicky is not your fault and even if it seems like nothing is working, know you are doing your best. 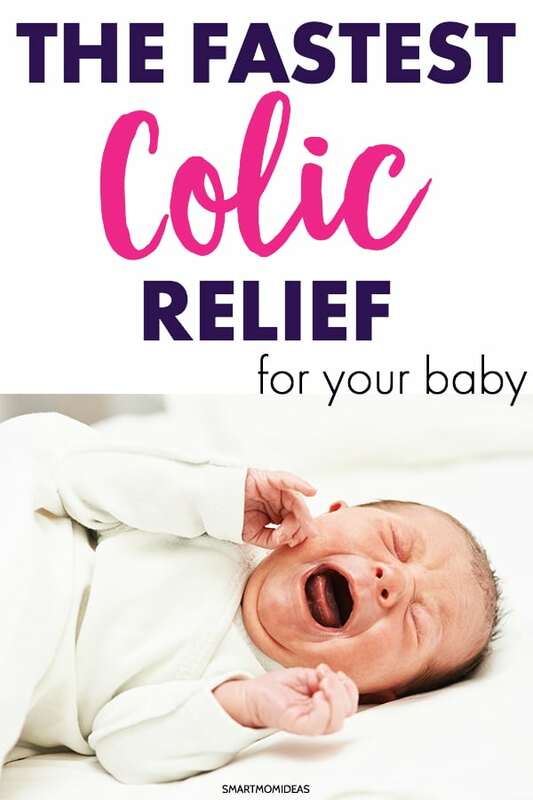 If you think that you baby may be experiencing colic due to an upset tummy there are a few things that you can try to help them get some relief. Try burping them. Sometimes they might just have a little extra gas that is built up that they need help getting out. Keep track of your diet and what you are eating if you are breastfeeding. So often breastfeeding women forget what they ingest has a direct effect on their babies. If your breastfeeding and your baby is experiencing colic, try tracking what you are eating and drinking with a breastfeeding journal. This can help you to pinpoint food sensitivities. You can also try applying light pressure to your infant’s tummy. Babies need that extra skin to skin contact, which can also be beneficial to relieving colic. You might also want to try the “colic carry,” where your baby lays tummy down on your arm and you can gently pat or rub their back while lightly rocking them. If your baby is formula fed, you might need to switch formulas. Consult with your pediatrician to see if this may be the cause and what kind of formula they would recommend. If at all possible, try to limit the environmental stimuli and create a calming environment for you baby. 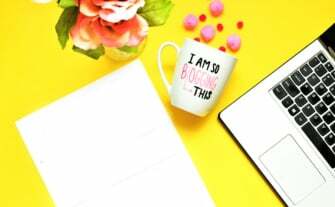 I know this can be especially difficult when you have other children in the home, such as rambunctious toddlers or even noisy pets. Try and soothe and respond to your baby as best you can. Crying is the only way that your little one is able to communicate with you, when your baby knows that you are responding to their needs that lets them feel secure. Make sure you are doing your best to limit environmental toxins, such as cigarette smoke. When at home, if baby is beginning to show signs of getting fussy, dim the lights, put on some calming music or a white noise machine or womb sounds. Even with your best intentions, sometimes minimizing environmental stimuli and rubbing your baby’s back just isn’t enough. In addition to trying to soothe your baby, you might need some remedies to help with their colic. If your little one is experiencing colic due to digestive issues, it could be due to a lack of healthy gut bacteria. BioGaia Probiotic drops work for colic, diarrhea, constipation, and spitting up. It’s allergen free and ranked as “#1 pediatrician recommended probiotic solution for colic in the world” according to Amazon. I have personally used this for my daughter who had slight colic and it worked great! Gripe water has been around for ages, which means it has to be doing something right! Gripe water helps to relieve colic associated with stomach discomforts. It helps to soothe your fussy baby’s colic, gas, and hiccups. Gripe water is free of additives, alcohol and artificial colors. It contains beneficial, natural ingredients like ginger root, fennel leaf, and lemon balm to help soothe baby’s delicate tummy. An unconventional but effective treatment for instant relief of a gassy and colicky baby. Invented by a pediatrician, the one time use Windi is inserted into baby’s bottom to help open up the muscle that is causing a kink in their hose. There is no worry about harm to baby, there is a stopper so you don’t go to far. If baby is very sensitive to any supplements or you want to stay away from anything they have to ingest, this is a great alternative. The Windi is also recyclable and biodegradable. So you and baby can rest easy knowing their tummy is happy and so is the earth. If you have ever used a heating pad on a headache of a sore back I’m sure you know how great that felt to get some relief. The same concept can now be applied to help baby get some relief from gas pains that might be causing colic. Simply heat up the herbal pouch for a few seconds and place on baby’s tummy. The wrap creates a gently pressure on baby’s tummy while providing the benefits of anti-spasmatic herbs. I know when you have a baby with colic you might feel so overwhelmed and like the crying is never going to stop. You might also feel inadequate when it seems like you have tried everything and to no avail, your baby just…keeps…crying! Just know that it is not your fault. You are not a bad parent. 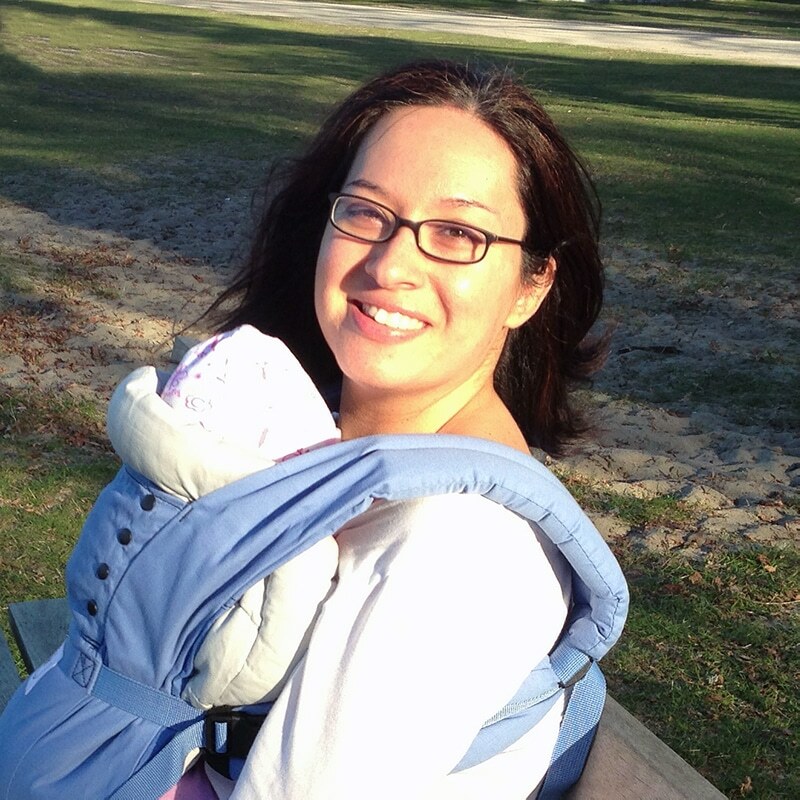 Caring for a baby, especially if you are breastfeeding and or pumping, is hard. Just keep your head up and know that this situation is only temporary, your baby will outgrow it. Don’t be afraid to ask your partner, parents, friends, neighbors, for a little extra help if you need it. Great post Elna! Reading this article brought back memories from my daughter’s newborn phase. I was so stressed because she would not stop crying!!! I did use probiotic drops and gripe water but never thought to try the Windi. I absolute love the Nose Frida so I know the Windi has to be great too. Hopefully I won’t have to deal with this with my next baby, but if I do I certainly know where to go for advice!